Vincent L. Wimbush, Ph.D. is an internationally recognized scholar of religion, intellectual leader, and academic gadfly, with more than thirty years of advanced graduate-level teaching and research experience. He is author/editor of more than twelve books and scores of articles and essays, and producer of a documentary film. Recipient of numerous awards and research grants, he is past president of the Society of Biblical Literature. Wimbush’s general teaching and research interests focus on the transdisciplinary and comparative socio-cultural history, social psychology, anthropology, performativity, and politics of “scriptures” as wedge for critical research in society and culture. He uses the complex engagements of scriptures as analytical wedge for ongoing theorizing and comparative research. Wimbush’s particular areas of expertise turn around the uses of scriptures in circum-Black Atlantic and their implications not only for the study of the history of the Black Atlantic, but also the phenomenology of scriptures. Wimbush’s research focus on scriptures has led him throughout his professional career to take initiatives to conceptualize and structure and direct innovative collaborative research projects as well as curricular changes. In the 1990s, he created and garnered foundation funding for the cross-disciplinary collaborative project on African Americans and the Bible. In 2004, he established and became founding director of the internationally recognized Institute for Signifying Scriptures. And in 2010, he conceptualized as the first of its kind as part of an advanced university-level study of religion curricular initiative the Critical Comparative Scriptures program. Wimbush is the author or editor of twelve books, scores of articles and essays; and the producer of a documentary film, Finding God in the City of Angels. The following narrative makes a compelling case for the efforts to establish ISS as independent scholarly organization. From historical criticism to critical history: such normally academy-focused jargon, seemingly reflecting little or no larger social reality and masking psychological complexity and struggle, is nonetheless apt and useful for describing the major developments in my intellectual and psychological orientation during my scholarly career of twenty-eight years. The words in fact poignantly describe the struggle I long engaged in order to get to the establishment and advancement of the Institute for Signifying Scriptures as the safe and cultivating gathering place of a new field of critical inquiry. I was trained to be a teacher/scholar of religion, with focus on the Christian Bible. The scholarly study of the Bible in my (arts and sciences governed) program refracted the critical discourses and operations of history, philology, literary-, source-, form-, and rhetorical-criticism. Although some of these methods and approaches and operations developed over decades beyond their original and long term functions as part of what was termed historical criticism, the latter was and still is used as the cover-all shorthand for traditional work in my field and other fields that focus on the study of texts—ancient to modern. Such criticism is focused on the explication of the text, with attention to its “world” or historical context. My scholarly career is an ongoing quest to move beyond the politics, sensibilities, and operations of historical criticism, even as I recognize and exploit my intellectual socialization and formation in relationship to it. I recognize periods in my career that helped get me to what I understand to be the position of a mature and free-thinking human being (who makes a living as teacher/scholar). This position I associate with orientation to the practices of critical history, involving focus not on textual interpretation (and its highly circumscribed history), but on textural excavation, the probing of human signification. From the beginning of my career in the early 1980s to the mid-90s–had to do with my representation/reinscription of the fairly traditional orientation, sensibilities, skills and practices of western Enlightenment-inflected academic biblical scholarship. Teaching in a well-regarded graduate professional school of theology in a small town of small elite colleges in Claremont, California, I further cultivated the skills of the historian (of late ancient Near Eastern religion and culture) and the philologist (of ancient Greek and Latin texts—especially ancient Jewish and Christian texts called “scriptures”). And I accepted the agenda of pursuing the historical “facts” in and behind the texts. Within this system I worked as an historian of religion and text critic invested in the critical exegesis of the pertinent texts and in the origins, historical development and theorizing of early Christian asceticism and other forms of world renunciation. For my orientation and work associated with this period, I was granted tenure (in 1990), recognized by the academic guilds (in appointments to important posts) and supported by foundations with grants—the American Council of Learned Societies Younger Scholar Award in 1985; the National Endowment for the Humanities Summer Seminar for College Teachers, summer 1986; an ACLS travel grant to an international conference, Vienna, Austria, July 1990; Louisville Institute/Lilly Endowment grant award in support of the convening of an international conference on Asceticism in 1993; a Henry W. Luce III Fellowship (Historical Studies), in support of a sabbatical year, July 1994-August 1995; a Society of Biblical Literature Research Grant, in support of the co-convening of conference (Toronto) on Asceticism and the New Testament, Spring 1996; and approval of a proposal for the establishment of one of the first joint program units in connection with American Academy of Religion-“Society of Biblical Literature” for a collaborative and inter-field national program unit on Comparative Asceticism, October 1985-1991. I was then by any fair measurement a good and productive historical critic. From 2003 to 2009—represents my acceptance of more academic-intellectual and programmatic risk-taking with the new discourse and intellectual project: I took up the ongoing challenge to balance focus upon my own world and its traditions and forms of expressions with comparative work, with traditions and expressions of many different peoples. This acceptance reflects my assumption that the experiences of African Americans (and the Black Atlantic and the larger African diaspora) are different from others but not altogether exceptional or unique, that such experiences are not to be studied as exotica but as analytical windows onto broadly shared if not universal practices, expressions and experiences. So what I began doing in this period represents not abandonment of but building upon and expanding the African Americans and the Bible project. I began to make use of continuing research on African Americans and the Bible as wedge for theorizing about and building a critical studies program around “scriptures” as a complex historical-comparative phenomenon in society and culture. With my acceptance of an appointment at the Claremont Graduate University (part of the Claremont Colleges Consortium) in 2003 and the convening in February 2004 of another international conference (“Theorizing Scriptures”), the Institute for Signifying Scriptures was established as a center to facilitate the sort of multi-layered, trans-disciplinary research on “scriptures” that I had for many years sought to encourage and model. This rather unique research institute (ISS) has as it agenda the forcing of certain simple and basic but disturbing questions and issues about the complex phenomenon of “scriptures”–what they are; how they are invented; the work we make them do for us; what they represent in the politics of language and discourse; and the power dynamics and relations they create and foster and delimit. Because of what we can learn from shifting the focus of research of a syndrome or phenomenon from dominants or presumed “traditional” or “normal” subjects (cf. medical research), I have placed privileged but not exclusive focus upon ex-centrics, that is, historically dominated peoples. Recognition and financial support came from the Ford Foundation for the establishment of the ISS in the form of a major grant ($600,000), October 2004–September 2006. In 2006 The Henry W. Luce Foundation provided a three-year grant for general operational costs of ISS. As an indication of its commitment to my initiatives, in 2009 the Ford Foundation provided a second major three-year grant ($600,000) for ISS ongoing research and operations. The programmatic initiatives and accomplishments during this period were many: Brown Bag Discussion Sessions, now widely recognized as a site of cross-disciplinary conversation on the Claremont campuses and in the community; a university press book series (Signifying [on\ Scriptures); production of a documentary film; conceptualization and leadership of a collaborative inter-field ethnographic research project on scripture-reading among communities of color in the United States; conceptualization and establishment of a new Ph.D. program (Critical Comparative Scriptures) in 2009. The ISS became a thriving center of academic-intellectual activity and programming. from the mid-1990s to roughly the year 2002—included my departure from the traditions and orientation of my training and my attempt to model an alternate intellectual orientation and set of interpretive practices. The intellectual departure coincided with my move in 1991 to the mouth of Harlem (New York City) to accept an appointment as full professor at Union Seminary (and adjunct in the Religion Department at Columbia University). Union had long been regarded as prestigious center of protestant liberalism. It was there at Harlem’s edge in a noisy little institution torn by allegiances to social and political activism, on the one hand, and traditional western intellectualism and scholarship, on the other, that I was provoked to begin to rethink intellectual categories and operations and focus. Inspired and challenged by a few very bright and intellectually and politically courageous students, I came to the realization that I could neither find nor fathom my-self and its history—much less help others fathom theirs–within the traditional intellectual system and its practices into which I had been socialized. After investing so much in the traditional enterprise this was not an easy realization to reach or change to make. But I admitted to myself that in the intellectual work I was doing, in the ancient text I was exegeting and the ancient world I was excavating, I could not see or hear my-self, and ultimately, could not find meaning in what I was doing. Although this situation had obtained from the beginning of my graduate studies the experience had by this time proved to be intolerable and unacceptable. So I began in earnest to change my focus and intellectual agenda–from the reconstruction of the (still mainly unproblematized) ancient Greco-Roman world context, and the pursuit of the correct content-meaning of the ancient texts, to the meaning of seeking meaning in relationship to ancient iconic texts called “scriptures.” I committed myself to the raising of what I came to consider the most basic question that should be raised prior to the question regarding the content-meaning of the iconic texts: I began to ask not so much what is the meaning of this or that text but what is the work we make texts do for us. I had begun raising the questions and issues of critical history. The most significant intellectual step I took at this time was my decision to make the history of African Americans’ experiences and expressions and practices the experiences and expressions and practices “to think with.” I became convinced that the default socio-religious-cultural and academic thinking would continue–even if the explicit claim is not always made– to presume the scriptures to be “white,” that is, to be the mostly unacknowledged representations and projections of the dominant history and culture. So I then began to conceptualize and develop a multi-disciplinary and collaborative research project on African Americans and the Bible that modeled a different academic-intellectual orientation. Over a period of two years, beginning in 1997, I set up what was the first ever of a series of structured but enormously dynamic and intensive colloquia among historians, literary critics, social scientists, visual art historians, musicologists, and religion scholars around the topic African Americans and the Bible. These experiences led to my convening the first major international conference on the topic in New York City in 1999. (The conference was attended by more than 200 persons—scholars of many different fields and disciplines; and community activists. A well-received publication, African Americans and the Bible: Sacred Texts and Social Textures, ed. V.L. Wimbush, Continuum International, 2000, 2001, resulted.) Grant support for all such initiatives included: the Lilly Endowment ($341,000), in support of three-year research project on African Americans and the Bible, September 1996–August 1999; the Ford Foundation ($150,000), in support of the Contemporary Ethnography Project (in relationship to African Americans and the Bible Research Project), October 1998–September 1999; a Ford Foundation Planning Grant ($79,000), in support of planning the next stages in and shape of the African Americans and the Bible Research Project, November 2000-2002; and a Ford Foundation Grant ($95,000), in support of the continuation and re-conceptualization of the project and its transition from New York to Claremont, California, October 2002-September 2003. In this early period I began to facilitate conversation that represented the turn to critical history—of a complex people and complex phenomena and dynamics. And such history I understood included me—an expansive layered collective historicized me. Such history also made use of the Bible as example of scriptures in broader more comparative and phenomenological and conceptually elastic terms. This was a beginning of a new discourse and intellectual project. THE FOURTH PERIOD begins roughly 2008 or 2009 and extends into the present. This is the period that I have claimed for my own research work and writing on the basis of the years of collaborative work and conversations, programs and projects that I had conceptualized, organized, and facilitated. Of course, I have been writing all along, all through the years of my academic-intellectual organizational leadership. That I had been somewhat successful in my double-leveled efforts over many years to contribute my own research and scholarship and facilitate new collaborative research initiatives can be seen in the honor I was given by my peers in my election in 2010 as president of the Society of Biblical Literature. My completion of the project that was published as White Men’s Magic: Scripturalization as Slavery (2012) represented my reaching the level of mature scholar and human being for which I have been long striving. 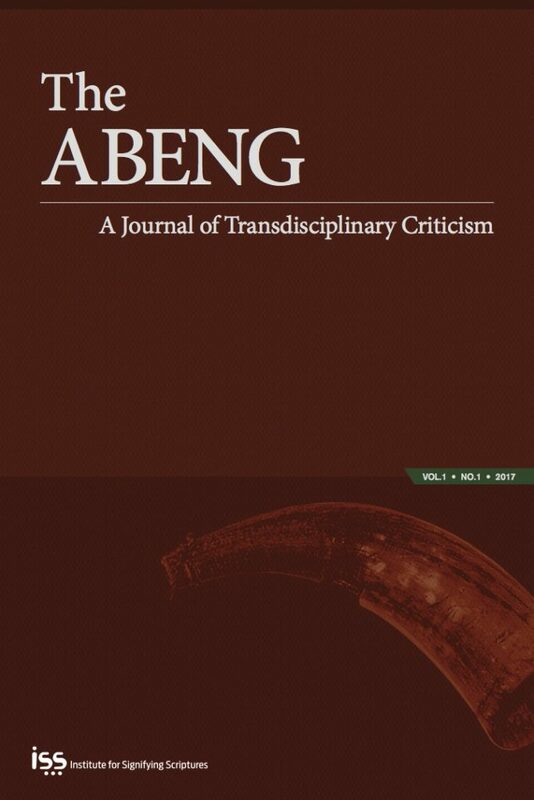 This nearly career-long project, slow-cooking and well-seasoned, a result of many years of teaching, grants-writing, and institution-building, but also the outcome of many years of listening and (re) learning, facilitating, leading and participating in trans-disciplinary and collaborative conversation and research is the first part of a major multiple volume project–the history of scripture-readings of the Black Atlantic. I consider it my own individual major statement. I find this project compelling because, along with the establishment of the Institute for Signifying Scriptures, it is opportunity for me–as Zora Neale Hurston colorfully and poignantly made the point–to loosen that tight-fitting chemise (or ideological-social-psychological carapace) I was wearing so that my research might be an honest, risk-taking, disturbing investigation of the (social) self. The chemise came to represent for me both the white colonial discursive-cultural “donation” and the black Atlantic social formation. The questions, the problems now addressed are mine, not those handed to me as part of the convoluted and anxiety-driven interests, politics, and agenda—the latest ancient text “discovered”; details regarding Noah’s arks; the fetishization of the Greco-Roman world as the ancient white world; the issue whether and to whom Jesus was married; whether Jesus was black as direct response to the whitening of Jesus—of either the white colonial donation or the Black Atlantic formation. It is the chance to collect and communicate with passion my ideas and arguments that ensue from my continuing fraught journey toward integrity—in the original and most profound sense of this term—of the different investments, pressures, challenges, orientations, interests, opportunities, politics, strivings, and passions of a career and personal and social life journey. The questions, the problems now addressed are mine, not those handed to me as part of the convoluted projections—details regarding Noah’s arks; the arrangement of furniture of the Greco-Roman world; whether and to whom Jesus was married; whether Jesus was black—of either the white colonial or Black Atlantic donation. Such work, compelling in its own right, may have the added boon of inspiring and challenging others with their struggles for integrity and their quest for freedom—to think ex-centrically.